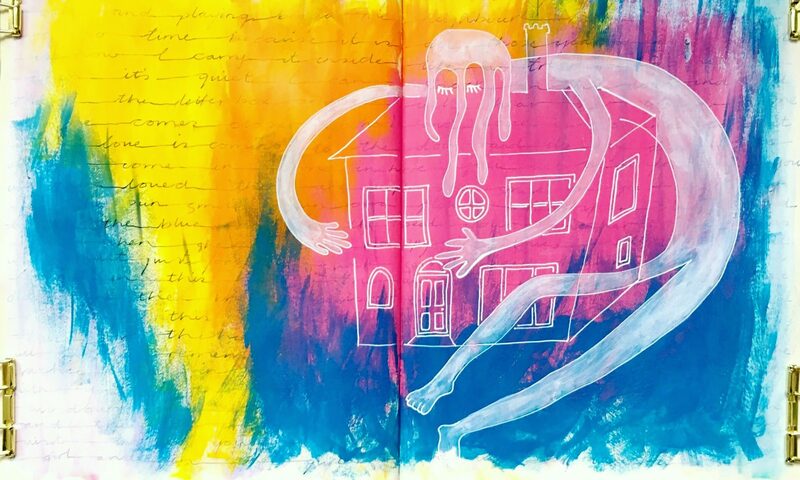 This tiny journal was created especially for the Get Messy Art Season of Ubuntu. It was a joy to discover just how much can happen within such a small format. I hope you enjoy this journey through its pages, too! Many of the pages in this journal are inspired by the Messy Marks class with Torrie Lynn (AKA Fox + Hazel) and several pages include beautiful collage elements that came along with the first issue of Empower Arts Magazine.